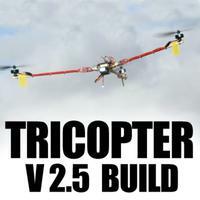 This tricopter V2.6HV is built around David's custom tricopter body but you can also build your tricopter design around the Anycopter Hub available in your web store. 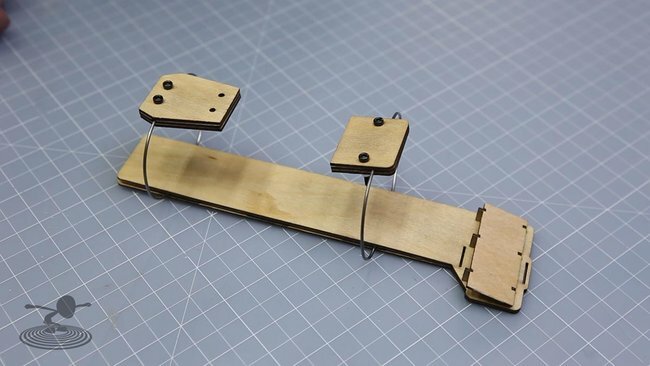 David's custom tricopter body template is available to download in the PDF link below. 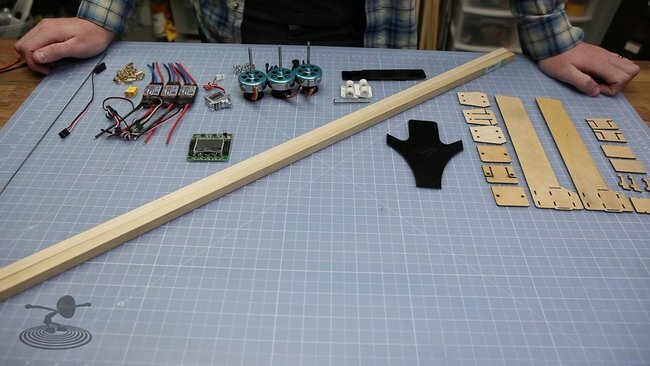 Here's everything you'll need to make your very own tricopter. The scratch built tricopter with the vibration dampening camera mount attached. Here's the before and after of the DT750 750kV Motor with a shortened shaft. 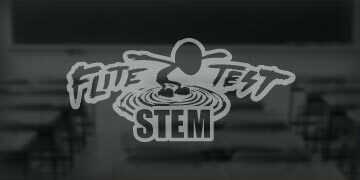 These are laser-cut wooden washers that will be available in the Flite Test store very soon! You can make your own breakout cable or pick up one of these Hobby King 4 X 3.5mm bullet ESC Power Breakout Cables. Here is the assembled Tricopter Camera mount. You will be able to pick up a laser-cut kit in our store very soon! In the meantime, we have plans available. The basic accessories for making your tail assembly. We will also have additional multi-rotor component available in the web store for those of you who don't want to scratch build the tail assembly and motor mounts. Our 'Rotor Bones' kits will be available very soon! Check back for when these will be available! Find out more HERE. Zip-ties work great for securing all of these components. David highly recommends using these in your build. David's Tricopter body is designed to securely hold your booms in place when pushed forward, but easily pivot backward in the case of a crash. More photos available in the Forum Post. Click the link below to 'Join the discussion' and share your builds! Hi! Very nice tutorial. I have some tips for you based on my experience. I screw in only one of two worm screws of DT-750 mounting plate. I experienced that even if I use locktight on them, they were continuosly unscrewing. And if you screw only one of them, the other part of the shaft has larger contact surface. I recommend to put the propeller between two nuts and tight them oposite to each other. You wont pull out the shaft out of the motor. I just use regular metal pad between the propeller and the nut. I hear ya looken good man..!! 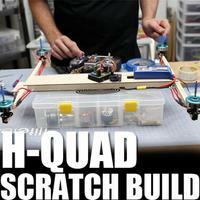 Looks great, I want to build my first multi-rotor, but I'm not sure what is better, a tri-copter or a quad? I was planning on doing the H-quad, but this looks great too. Also would the gopro with the protective case fit on this ok? I'm not brave enough to fly without the case on the camera. I started with davids tricopter. Awesome yaw authority and fun to fly. Add some light strips to make orientation easier. Once you go tri you never look at quads... Exept i'm building a v-tail quad from my tri for testing heavy load quad with better yaw. I'm no expert but i seen some quads and they had poor yaw in windy weather. Might been just bad ones. I also crashed my tri from full speed and only cracked a boom. I put on a spare and flew again 5 mins later. My tri has weaker motors and it can lift fpv gear with 300 grams extra. I'd say dt750 motors will lift even more with this new frame desing. I purchased your plates way back when you were still in Sweden. I am very happy with them. But I did round the sharp pointy corners, but not quite the radius you have on the front, maybe a 1mm radius. It really reduces snagging your fingers and other objects on those sharp corners. I have one question where does the yaw servo plug into is it somewhere on the kk board or does it go directly into the receiver? I know that the 4 channels generally plug into the kk board and motor go one through three on the kk board but the servo im confused can somebody help me? The servo needs to be plugged into the 4th output of the KK2. The board does all mixing so you can fly just like your quad or a heli. yah as soon as its on the tricopter mode it does it for you! its great! Can you say me whats the flight time with this setup ? Thats the only thing what i am missing. I get about 13' fully loaded (fpv) during summer. Winter runtimes are lower. Check out this Great YouTube video on how to flash, I used it and it worked great, I also used this(http://www.digikey.com/catalog/en/partgroup/923-and-927-series/16202?print=1), Granted the pins needed bent but it works great! Cheers! I live in Denmark, if you live in the EU i will flash your ESC free. Being a Rookie myself i found the video very informative and compeled me to go and start buying the list. One thing that i'm missing, though, is how to setup the KK2 board. this video goes through all the menus of the KK2 board. YES ++1 on the flashing ESCs. PLEASE. hey david, What are your settings on the kk2 board? like pi's and limits? Oh yes, one thing that should be mentioned putting epoxy on the DT750 wire and stator is be careful not put epoxy too close and/or on the aluminum bearing housing. If you do, you might find it extremely difficult or impossible to get the motor base back on. Do I see it right, the left frt propellers is CW, and the 2 others are CCW. Although, Your using the same propellers ? That can explain why my 2.5 doesn't fly ? for V2.6 he has changed the direction of the left arm. I built and am flying the v2.5 and it has all 3 the same direction. it causes a bit less stability but nothing noticeable. I love flying mine and it is very stable. Counter rotating prop made my tri hover a little more level and servo wasn't tilted as much. Nothing more. Why it doesn't fly? Does it tip over? Try checking gyro directions and maybe reset controller and start over. Also my tri was really unstable in first tests due to poor pid values. 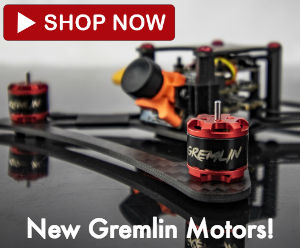 Do the rotor bones allow mounting for the dt750 motor?? They will fit. However, they're best suited for 370 sized motors and smaller. Will you be doing a video about them?? do you need a special receiver or transmitter for a tricopter? and thank you!, you helped me a lot while i build my Tri. LOVE this build, totally on my wish list for the next round of hobby $$... But $81+s&h for CNC'd CF plate, & NOT including any of the hardware or booms really? Please tell Chad (or whoever is doing the pricing) to make a full kit including hardware for about $80+s&h or drop the individual part prices, or both. Look at the competition, closest match to this would be "Hobbyking X900 Tricopter Glass Fiber Multi-Rotor Frame" which is $32.16+s&h from the USA warehouse, AND IT INCLUDES ALL HARDWARE + BOOMS. I really want to support you guys instead, but things like this make it hard. David, your V2.5 model had longer booms (48cm). Would you use shorter booms also with 3s/DT750 setups or are the shorter arms optimized for 4s system? 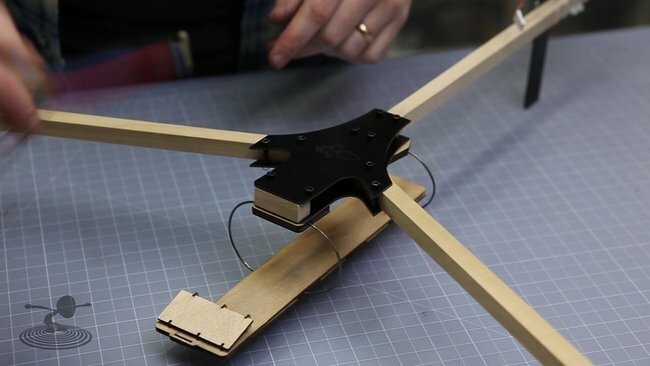 David, this is a great beginners guide to building a Tricopter, so things when time allows I'd love to have a try at. One things I would like to point out in this video, you tell people to rightly use safety glasses around 7:00, but later on we see you putting the Dremel tool down after cutting with out glasses 37:00. I'm a strong believer in setting and example especially to kids. Safety glasses would cost a few dollars I'm sure with you, eye operation to remove metal filling would cost you a lot more! Carry on with all your great builds and designs. One of the best shows I've see on the internet for a long time. Can I use 2mm balsa to build the camera mount? Is it strong enough? OMG Hobbyking is totally sold out of Parts, are there any "2nd choice" Parts? Especially for the yaw mechanism, seems they took forever to restock. I found some foam tape on hobbyking. Click Tools then glue/threadlock. It's﻿ on the first page. I'm very frustrated with the Hobby King USA Warehouse. I finally ordered the KK2.0 board from the "international warehouse". It shipped, but the notification says it can take up to 45 days to arrive. In the meantime, I can't find the front wheel steering mounts (in stock) to make the yaw mechanism anywhere. This is my first foray into RC, so I also need a TX and RX. Based on Flite Test's review I was planning to get the Turnigy 9x, but of course it is out of stock in the US and will cost $35 to ship from China. I'm just finding it very difficult to get started. Can someone provide a list of alternate parts that would work for the build? I bought all my stuff for the scratch-built h-quad over a month ago and still nothing has shipped from HobbyKing. Stuff was back-ordered at the time and i guess they wait until it's all in to ship. Now this video. I guess it will be easier to go from quad to tri! I agree with the comments above about the "kit" should be competitive with others. Def. want to buy from you all. Seems like my order is only waiting on the DT750s now. Turns out the F-20a and F-30a esc's have linear ubec's, also verified by the 7805 regulators I found inside. So, connecting them together shouldn't be a problem. What we really need is a pre-assembled yaw component. Especially with the difficulty getting the steering mounts. I may have found a source for the Steering Mounts out of Malaysia. Paid too much and the shipping is huge, but I ordered 4 bags. Enough to make six yaw mechanisms. It is yet to be seen if these are really the right parts, but I'm hopeful. After I placed the order I was asking myself why I'm paying $33.00 for something that should have only cost $2.59 plus shipping. My answer... I'm desperate. The front wheel steering mounts arrived today. I was concerned that they weren't the same as those from Hobby King. They fit together perfectly. Of course they arrive the day after the mounts become at Hobby King again. Sweet tutorial, thank you very much!! Hey David, how long are the bits of fibre glass that you use for the landing gear?? As are the dt700's now. The dt700 is in stock at the Hobby King USA warehouse. I just ordered a set (3). Is the digital aspect of the servo important? 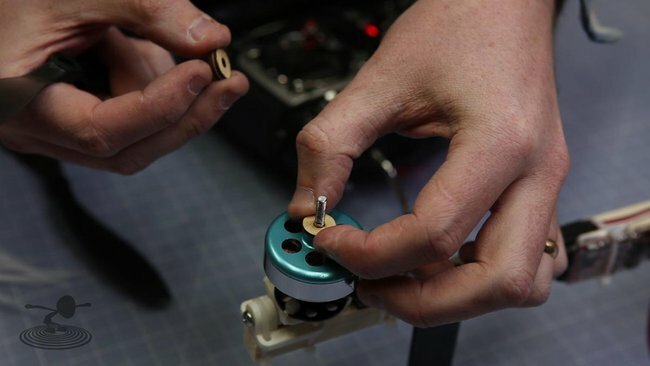 Will an analog servo suffice if the torque matches? 1	Hobbyking i86L Multi-Rotor Control Board..
3 Turnigy Mini-Swift Replacement Brushless..
2 Turnigy nano-tech 2200mah 3S 35~70C Lipo..
1 XT60 to 3 X 3.5mm bullet Multistar ESC P..
What kind of props should I get ? 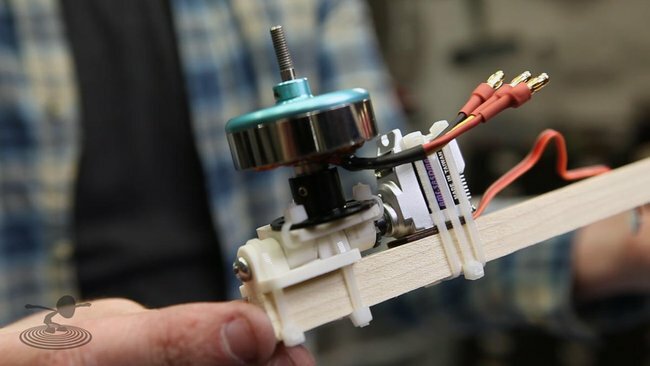 The Turnigy mini-swift motor, info from the mini-swift product page, shows to be a 2s lipo motor with a max current draw of 6a with a 5.1x3x1 prop. It is designed for a 600mm WS park foamie, maybe 300-400gr AUW. You cannot run these on 3s or they will likely burn out with a quickness. Now IF you ran them on 2s with 5x3 props they wouldn't burn up, but they wouldn't lift this tricopter either. Everything on your list looks good, but for the motors/ESCs. Thanks for the info I will take your advice and change my order. I'm also contemplating building a few DVD-Rom based motors just to see what kind of power I can get out of them I love to thinker ...! I'll send you more info on the build if you are interested...! Will 11x4.7 props work? please answer!!! Thanks! Depends on the motor & voltage you plan to spin them with. The DT700/DT750 product pages specifically list the 11x4.7 as the top prop for thrust on 3s lipo I believe. I plan to use a 3s setup on the dt750's. So it will be ok right? Thanks for the reply! With no RC experience in the past 15 years I'm embarking on this build. Below is my parts list based on the current HK available stock along with enough cables and connectors to make the backordered cable components. I'm sure I'll have extra components and need additional parts but this should be enough to get well into the project. Just need to come up with a rotating motor mount or hope the flitetest designed ones become available. Looks like the total cost will come in around $500 having absolutely nothing on hand. Since the motors, the servo and the "Front Wheel Steering Arm & Mount Set" are out of stock for a long time, it would be great to have an alternatives list. Thanks! Hi, about the servo, I guess the TGY-306G will also do, right? Also, any alternative motors? Can't find the DT750's on HK... (out of stock). For example, if the DT700 is used, will the power decrease be significant? Like 5% or 20%? What prop should be used with the DT700 to provide the same power as the DT750s with 9x4.7 props? Hi! Im still a bit new to this Hobby, but I am very interested in building a Tri-Copter. I Love the idea of FPV and this would appear to be a great entry into the world of FPV Flying or would you say it isnt. I've heard you guys say this is quite easy to fly. Would you reccommend this for a First time FPV Flyer, as well as first Helicopter flyer seeing how it appears to be rather durable? I had one of those Brookstone Helis and it flew well until it seemed to lose( I guess you could say rudder control) and it would only turn left, then it crashed and never took a charge again. Ive watched all of Davids Videos with the Tri-copter and it is just captivating. I really would Love to be able to be able to do this as well. 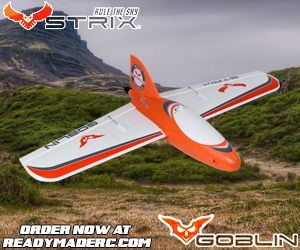 How much flight expierience do you reccommend before attempting to fly one of these? what size for bom..? 1cm thick..? If you mean the booms, 1cm is what David's original tricopters used. This one has 12mm (1/2 inch), as it is difficult to get a 10mm thickness in the US. I know, I tried. The closest I could come was 9.7mm. I might be missing something here, but the tricopter parts list says to use a 4s, which would be ok if using the D4023-850 motor because it specifies you can. However, the DT750 indicates using 3s (11.1V) So, am I just overlooking the obvious? Me too, can anyone shed some light on this please? Don't worry, I finally built it as is (using DT700 instead of DT750) and it works great! David knows what he's doing! These motors have huge holes so the are cooled just fine. Barely warm after flying for a full 15 minutes! Will a DT700 work and still lift a gopro? Also, what is a good alternative servo for this setup? Thanks. Maybe if you use a bigger prop... Haven't built it yet so can't tell. Be careful though, use a watt meter! Ok, as I said above I've been using this tri with DT700s for 7 months. It's fine. The power could be a bit more but it flies just fine. I didn't use a gopro but a keychain cam + 500mah 3s. I guess the weight is close to a gopro. Are there people here using the F20A ESCs' BECs? I mean, with 4s and a digital tail servo, the linear BEC seems like a very bad idea, but has anyone been using it with success? 4S with those motors seems like a bad idea too. They are rated for 11.1V, not 14.8. And yes, the BEC seems a little puny for this setup too but that's just on paper. David knows his business. Quick question: where did you get the tilt mechanism? Did you make it yourself? I cant seem to find any mention or list of it. 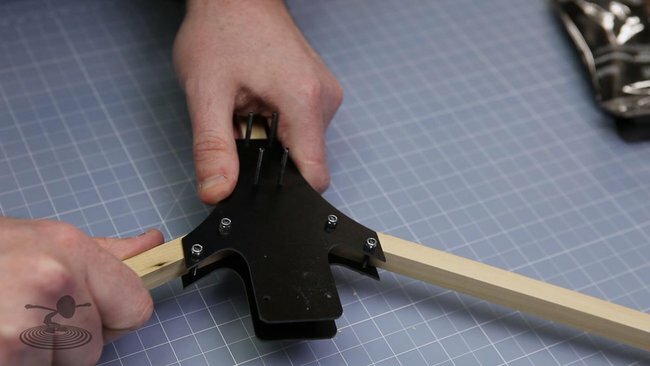 The RTF tail mechanism is sold by Flitetest itself. Chad designed it! what kind of flight times should i expect with this setup? Simple question and one that you have probably already had several times but do you have any recommendations for ESC's and motors for 3 cell lipo's?? After you flash the ESCs with SimonK, do you still want to use a BESC programmer card? That decides me to try the adventure and build a tricopter following your build. I ordered different parts but where I live, I could not find poplar wood. So I bought fir (after eliminating balsa because it seems too smooth and not hard enough). I have now some 15mm x 15mm fir's boom of 1 meter long. Do you think that fir will act like poplar ? Do I have to cut it 12mm, 10mm or let it 15mm ? Does anyone know how this power setup would work on the BatBone? 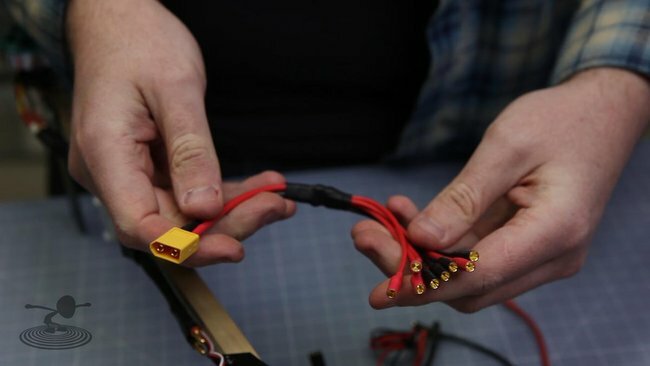 this article inspired me to buy 4s battery for my tricopter and now I am a little bit worried about burning my motors or ESCs. I use DT700, Turnigy Plush 18A, 11x4.7 props and 4s Turnigy 3000mAh LiPo. Had anyone tried to run DT700 with 11x4.7 prop and 4s battery? Isn't it too much? Should I rather use smaller props? Specs of DT700 says that nominal voltage for this motor is 11.1V and max prop size is 11x4.7 but for 3s battery. According to this thread I found, it might not be a great idea to run either motor on 4S, they are really rated for 3S (11.1V), not 4S (14.8V). People do it and get away with it though. 18A ESC seems a little small to me for 4S with this too but I defer to Windestal in all matters. I wonder what David's thoughts on this are. Here's someone who used the DT750 (not the 700) and a 4S battery with a giant 13x6.5 prop with a 30A ESC. Seems like a bad idea, it's gotta smoke the motor at full throttle after a while. For those wondering: The distance from the end of the rear boom to the first "groove" is roughly 12mm. I calculated this by way of ratio from Davids video above. I knew the distance between the grooves is 30mm, so using a ruler on the screen and calculator I got 11.6mm... so I rounded up to 12mm for my purposes. I was wondering what people's PID settings are for this tricopter. I have made it, but want better PID settings. However, I have different brand ESCs, motors and board (does this make a difference to PID settings?). Hi David, what is the correct design that you use. There is a difference on the 2.5 PDF design and the tutorial here. Front booms are attached by different screw in different location. I have used the one that is in the PDF (boom linked on the outer screw). Thanks for advice. Is there a receiver used in this?? Great tri David. Its great. Just wondering what settings would be great for the kk2. Is there a possibility that you can send me the Adobe Illustrator file of the frame so I can make a 3d model of the frame? Or just give a link so I can download the file, that would be easier. This way I have the exact dimensions of the frame. I've just built one, pretty much exactly as yours - and it flies superbly. So stable, and powerful. Great design, and I now understand 'swooshiness'! Mr. David, I built the tricopter pretty much the same as your suggestions. A few minor alterations. It flies great! I like the "swooschiness" too! The KK2 boards are hard to come by without having to overpay for them so I used a Flip 1.5. Works great and it's cheep! I had the best results using baseball size practice balls for landing gear. They are light, easy to mount and don't catch on anything. Sure had a lot of fun flying this thing! Much better for me than helicopters for me. I am going to build this tricopter, but i do not fly fpv neither i am going to add a camera. do i have to use the kk board or can i fly without any flight controller board? if not is there an alternative, cheaper board? Hey, could someone tell me or give me the link witch prop mounts they use, i don't think they are in the list of parts. 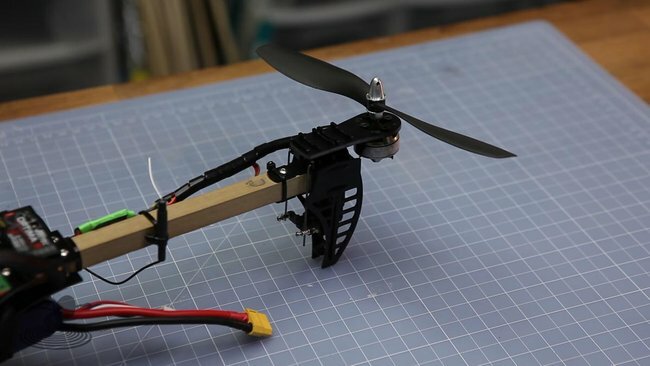 I want to make a tricopter like this one, and i want to know if this configuration (motor, esc ..) is still ok ? I saw the new KK boad now in a case, is it a good choice ? The DT750 with 20A ESC's is still a great configuration. I've built multiple tricopters with this setup and they work great. That version of the KK2 is great. If this is your first (or one of your first) multi rotors, then the KK2 is probably the way to go. If you want something with a few more features, try the Naze32 board. It runs a variant of the MultiWii project and is supposed to fly great right out of the box. David, on the wooden arms - is the grain vertical or Horizonal ? 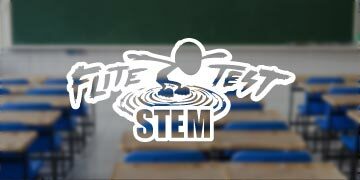 I would like to thank FliteTest for creating this video so Thank you guys. Great video! For those of you with a 3D printer I have created the parts in Blender and you can download them for free here:- http://www.thingiverse.com/thing:372798/#comments Print the parts and follow the video. How easy is that! Have you used this design with "white strong & flexible" at Shapeways? Thanks for taking the time to post the files! have not seen you post recently here hope you will read this though. i am in the process of building the tricopter. just got my kk2.1.5 board the other day. i went in to load the mixer program for the tricopter and i noticed that they have one motor on the front spinning cw and the other front motor spinning ccw. in your build video i got the sense that they all spin the same way. is that right, do they? do i need to load a new program or just ignore it and have them all standard rotation. 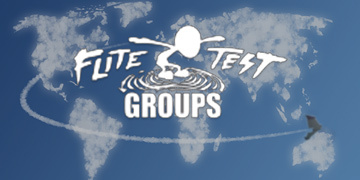 really love what you added top the flite test show really added a lot of depth to the knowledge base. thanks in advance for any help in this matter. hurry back from Sweden. First of all, thank you very much for your tutorial. It's great! I'd like to ask two questions: What is the average cost of this? and How much extra weight can it carry? Thank you very much. 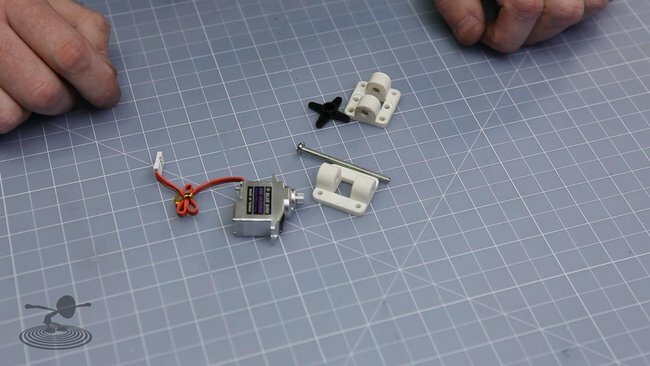 very good tutorial, makes me want a tricopter even more but I think im gonna stick with quads,hexs and octo's. Like how its made of really easy to get materials. I built a small H-quad from some old wood in my garage and it looks great! Its amazing what you can do! Something wrong with my kk board, tail servo permanently buzzing after power on and going crazy tilting motor when adding throttle. Servo just the same. How much would this whole project cost? I think it cost me about 120-140 euro's, ordered from HobbyKing, and excluding a radio. About 30 euro's for the motors, similar for the ESCs, 25 euro's for KK2, 15 euro's for the servo. I made the frame myself from scrap plywood and a piece of 12mm dowel, and I'm not counting materials like bullet connectors, nuts and bolts, zip ties or duct tape. Add a battery, propellers and some overhead + shipping. HI, Flite test, I'm a beginner of Tricopter, I wandered, what remote u are recommending for this machines? 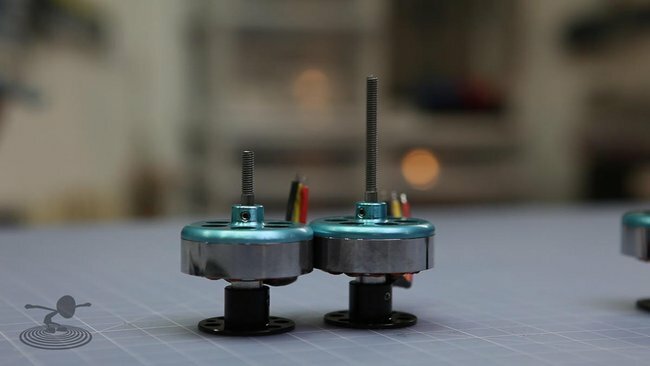 Quads have two pairs of rotors turning in opposite directions, so when everything is balanced the torque moments of each motor cancel each other. To yaw the platform, power to one pair is increased and power to the other pair is reduced while keeping the total thrust constant. The torques are now unbalanced and the copter will react by turning. If the pilot had to do this by directly using separate controls for each motor probably nobody is coordinated enough to do this manually, especially since gyroscopic precession of the props complicate changes in direction. Lucky for us all this is done by "magic". Yaw by using differential motor speed is probably doable with a tri-copter, but it's much easier just to tilt one rotor to get yaw. The flight controller board data sheet *should* explain this. But I've never seen an FC data sheet and I fear they are written by engineers whose first language is not English. Scratch built tricopter designers probably have to figure this out for themselves. I need Help I can not load the kk2 multicopter tool on my computer. Finish my first tricopter 2 year ago, still fly good and just rebuild a new one using the same frame template and camera tray, but this time i use carbon fiber for frame, you cannot go wrong with this desing. I fly fast and crash pretty hard and all i broke until now was zip tied and one boom. 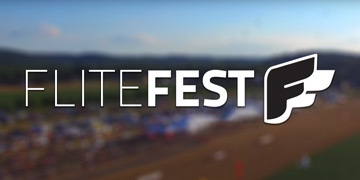 Thanks you Flite Test and thanks you David! I built a 1000 kv tricopter with the kk2.1.5 and I am experiencing a problem when I arm the tricopter the motors will work at low throttle, but after I put in more throttle the board disarms. Does anyone know how to solve this? I believe that I have too weak of a battery, I am using a turning 3000 mah 20-30 c 4 cell, With three 30 amp esc's. I am starting to think i need a 4000 mah 3 cell 30 c discharge. Would i be correct? With the help of his grandpa, my son has built this drone for a school project. He built the drone using this video. He would like to purchase a transmitter to fly the drone. Which transmitter would you recommend he purchase? We live in Canada, so the transmitter he purchases needs to be shipped to Vancouver, Canada. Could you please provide a link? How easy is it to code/program the transmitter? We are not looking for something high end, because it is for school project, so we are trying to keep costs down, if possible. The project is due in early December, so I would appreciate a response as quickly as possible. Thanks for your help! Hey Gizmo, What set-up do you have? Where did you get the electronics (motors, ESCs and such). Im looking for an endurance flight with this (or similiar) set-up. What can I do to get a 15-20 minute flight? 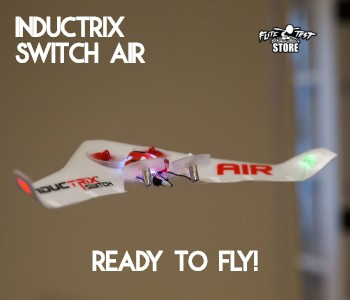 can you help me to make this same using cc3d flite controller board... i need your help.. please make your tri-copter using cc3d.